Just a short 5-minute walk (even for an 8-year-old in ski boots) to Steamboats base is this beautiful 2 bedroom/2 bathroom condo. The kitchen and both bathrooms have been updated to reflect tasteful modern finishes and the open, functional floor plan makes entertaining easy. The granite countertop in the kitchen wraps around to create a 4-person breakfast bar that opens to the dining room and living room. 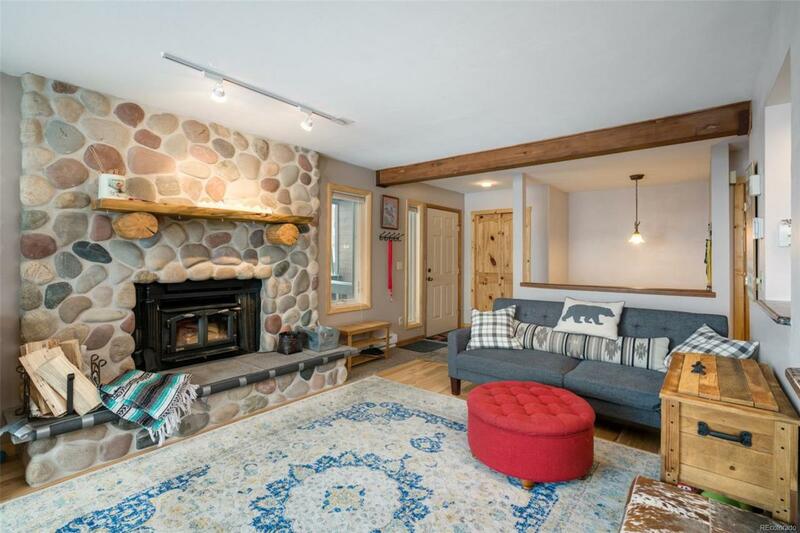 Warm up with a fire after a day on the ski hill from the condos wood-burning fireplace. Enjoy year round views and grilling from the deck off of the living room. Granite countertops, wood flooring and wood trim throughout add warmth and appeal to the unit. An in-unit washer and dryer is always a nice convenience and the attached carport protects your car from the elements. Two additional owners storage closets keep all your gear out of sight, but never too far from reach. There is also a hot tub and a large open, grassy area behind the building to enjoy in the summer.